Having over 30 years’ experience within the industry as a Financial Adviser I have built up a good loyal client base which has enabled Acorn Bowman Finance to be become one of the leading providers of Independent Advice in Kent. Acorn Bowman Finance was formed in 2002 along with my wife, Vicky who controls the day to day office requirements. We have since grown the business into an investment and pension specialist firm that manage in the region of £80 million pounds under management. This, of course, cannot be achieved alone therefore the dedicated assistance of my back office team ensures clients are at the forefront of our advice and ensure we reach high standards of service at all times to all clients. I work specialising in investment's and retirement planning, but my back ground was within the mortgage market, therefore I have a good all round knowledge. However, due to the complexities within the Mortgage market now, I have a dedicated member of my team who now heads up my mortgage section. We work closely with other professional sectors, such as accountants and solicitors so have a good ability to liaise with these professional's for the benefit of our client's. As a company we are a forward thinking business in an ever changing market. We encourage and embrace the FCA principles in treating our customers fairly and look to provide bespoke advice. We have a new young team being developed in the wings to ensure our company is around long in to the future. I joined the industry in 1990 after initially starting my career in an accountant practice. 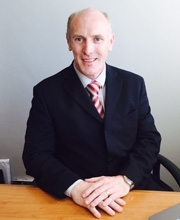 After a few years of advising in the direct sales market I moved in 1995 to become an Independent Financial Adviser working mainly in the areas of specialist corporate, investment and pensions advice. Norwich Union then offered me a new challenge and I spent 5 years in a technical post with Norwich Union (Aviva) before returning to be an IFA at the beginning of 2005. Holder of Diploma in Financial Planning and Advanced Financial Planning Certificate qualifications allowing me to provide independent financial advice involving Specialist Pension, Corporate and Trust planning. G60, JO4, & JO5 qualified. 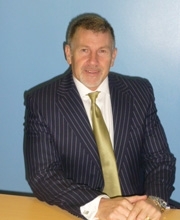 I moved to ABFIM Ltd July 2009 and within ABFIM Ltd I am able to offer companies and individuals specialist corporate, investment and pensions advice. Specialist pensions planning advice includes the transfer of Occupational Pensions, setting up new Directors schemes & Buyout plans allowing previous paid-up or deferred pension plans to be utilised by the business and new corporate group schemes and with the support of the other staff we can offer the full range of financial planning including regular and lump sum investments, pensions and mortgages for both companies and individuals. Registered Employer Agent with The Pensions Regulator allowing us to register and administer Auto-enrolment and Workplace Pension schemes on behalf of employers. HMRC Pension Scheme Practitioner allowing us to Register and Administer Occupational Schemes. Technical Presenter/Adviser for The Pension Advisory Service. This role mainly involves delivering presentation to companies and their employees providing information and guidance to raise the understanding of pensions. I have been instrumental in setting up Acorn Bowman Finance along with Phil in 2002 and have seen many changes over the years. I have over 25 years’ experience in the financial planning industry and I am heavily involved with the compliance and day to day office management. We have a highly efficient office with great staff that helps keep us running smoothly. 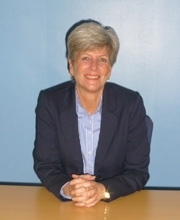 After leaving higher education I started work with a worldwide electrical wholesaler on a management programme in 2005. I progressed to become one of the youngest Accounts Managers within the industry which, for 6 years, I worked in Maidstone & then the Group Office and flag ship branch being Canterbury. After many successful years I felt that I wanted to further my knowledge and obtain professional qualifications and join a successful business to provide financial advice to clients. After joining in December 2012 as an Administrator to learn the Industry from the bottom up, I have now obtained the required exams to start to research mortgages for our clients. I enjoy meeting different people within my day to day work and look forward to building on the success of Acorn Bowman Finance. I am a keen sports person enjoying football, cycling and golf at the weekend in between working on my new property. This property purchase has made me realise the help people need in making such major decisions throughout their life. The industry has become a profession to be proud of which I wish to eventually become a chartered adviser over time. On leaving higher education I served as an apprentice with one of the largest local sign companies in my area to establish a career. However I felt this vocation was not working out for me so I decided to study book keeping and accountancy because of my love for figures and spreadsheets. 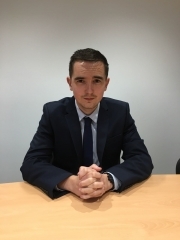 I have since successfully passed my first module and now plan to continue with this studying but at the same time found I needed to change my career and applied to join Acorn Bowman Finance as I felt this suited the area I wanted to move into. 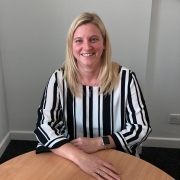 I joined Acorn Bowman Finance in July 2016 as a finance administrator and looking forward to starting a new career in finance and learning new skills. Working closely with experienced members of the backroom team to gain knowledge and experience. I have recently purchased my first property along with my partner which made me realise the importance of finance and how this area is so important in today’s world. My Interests are playing football with a local team and watching sport in my spare time to the annoyance of my partner sometimes. I now feel settled and confident this career change will suite myself going forward. A role in the financial sector has always appealed to me, as working with figures is something I’ve always enjoyed. Studying Accounting and Finance at University only served to confirm this to me and make me even more determined to start a career in the industry after graduating. 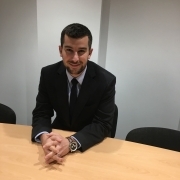 Joining Acorn Bowman as a Financial Administrator in January 2017 has given me a great opportunity to gain knowledge and experience from all the team. The fast paced and ever changing nature of the industry is something that I look forward to experiencing, as no two days are ever the same. The complexities of the financial world are felt by everyone nowadays; I feel working for a firm that helps people understand and plan their financial affairs will be highly rewarding. I hope in time to begin studying for professional qualifications and progress within Acorn Bowman Finance. In my spare time I am a keen sportsman, playing football, cricket and golf whenever I get the opportunity, representing local teams regularly. 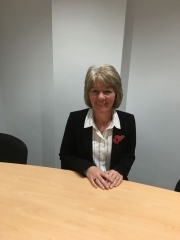 I started my working career in 1983 with a major high street bank and spent the next 19 years working in many different local branches, in London and the Small Business Centre and Area Director’s Office in Canterbury. I worked in a variety of administrative roles, with customer service being the main focus. Following maternity leave, I joined a local secondary school where I worked for almost 15 years in a personnel/payroll/administration role. 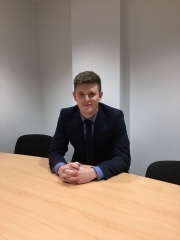 Having joined Acorn Bowman Finance as a Financial Administrator, I am looking forward to working in a well-established, professional company, making use of my administrative skills to help provide the high level of efficient service their clients already experience. I am part of a small, friendly and very knowledgeable team and am keen to broaden my knowledge of the financial services industry. I enjoy walking, gardening, reading, baking and supporting my 2 daughters with their busy lives, as they decide which career paths they wish to follow. I started my working life in 1998 after completing a 2 year BTEC course at collage, my chosen career at that time was Childcare and I spent a very successful 18 years in this field working as a Deputy Manager of a nursery, a Nursery Nurse, a Community Nursery Nurse, a Nanny, a Family Support Worker and finally a Playworker. In all my job role’s admin has played a big part, I was expected to keep clear and accurate files for all that I supported, and often complete reports for Child Protection meetings, so I am very aware of the importance of administration and how big a part it has to play in all organisations. In between my busy career I found time to have my first child, get married and buy our first home, all of which have helped me to understand the difficulties of everyday life and how important financial stability is. Having moved to Basingstoke in Hampshire and living there for 10 years, my husband and I decided we missed the sea so made the decision to return to our original home of Thanet, which is when we chose to have our second child, I wished to remain at home with her and enjoy motherhood to the full, which I done for 2 and a half years, before yearning for some adult conversation again, along with feeling the need for a new challenge. I went for a role of Financial Administrator within Acorn Bowman working alongside Mick Rendell and am now thoroughly enjoying this exciting new chapter of my life, I am learning lots of new skills and hope to have a long a prosperous career in Finance, I would love to look at taking some qualifications in the future to enable me to further expand my knowledge in this field. In my spare time I enjoy watching my son play rugby, going on family bike rides, walking and gym classes, this along with running the family home all keeps me very busy. How close is Britain to having a four-day working week? A new report shows we work the longest hours in Europe - but our productivity is low. Is this a clear argument that a four-day working week is the way forward? Acorn Bowman Finance & Investment Management Ltd is registered in England & Wales no. 04452445. Registered Office at The Chapel, 51 High Street, Minster, Kent CT12 4BT. Acorn Bowman Finance & Investment Management Ltd is authorised and regulated by the Financial Conduct Authority no. 214536. The guidance and/or advice contained in this website is subject to UK regulatory regime and is therefore restricted to consumers based in the UK.